Pocket square seems to be a symbol of wealth and status .it was was used since 80’s .this is made up of silk ,light weight cotton or Lenin, this post we will tell you about the top 7 pocket square for men. 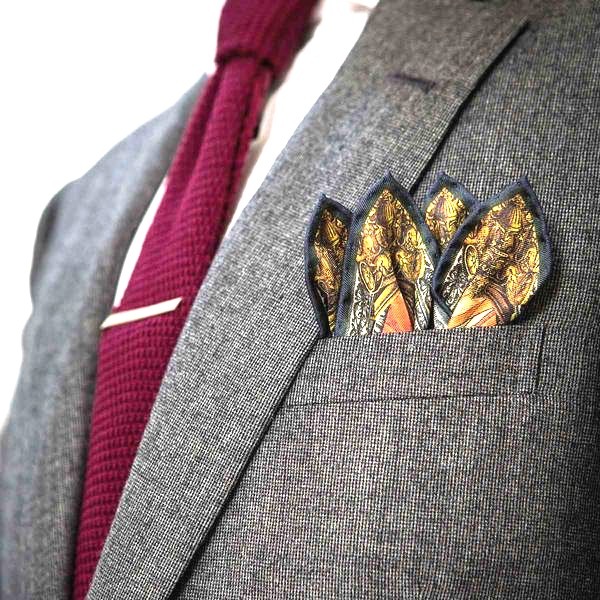 we generally saw these pocket square in meetings,parties or get to gather. and every men should know about the types of pocket square and how to make it on any occasion. there was a time we use to rely only on ties and handkerchiefs etc for looking attractive and showing our status and wealth like a gentleman ,but as time goes on pocket square also gets widely used during different occasions. 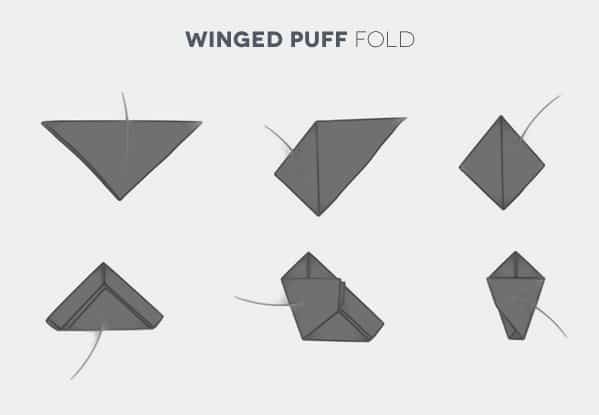 Also known as presidential fold,this is widely used and easiest to make. just simply fold your pocket square in half, then fold it back on itself in half again and then once more in half vertically, so you’re left with a small square to pop in your pocket. 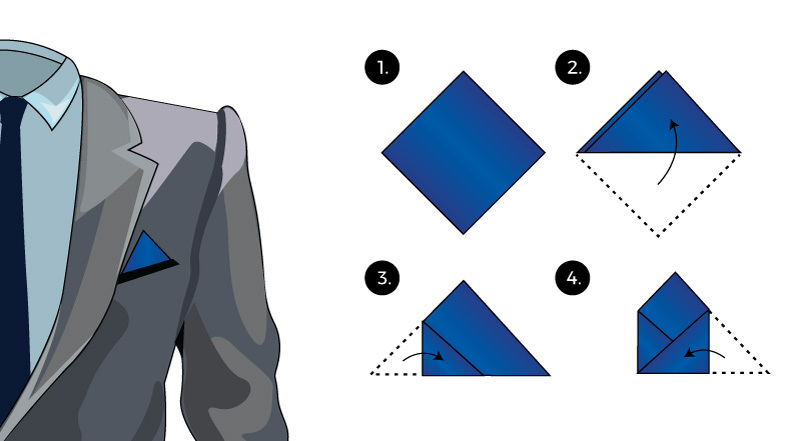 Another pocket square is the one point fold.just fold the cloth in half, then in half again so that you have a compact square. Place the square in front of you like a diamond and fold the two outer corners slightly over the center to form a cone shape. finally fold the back of pocket ad put in your pocket and showing pointed upwards. Another stylish pocket square is The two point fold.to make this type of fold just fold your pocket square in half, corner to corner, but leave the two points slightly away , one next to the other. Now fold one side inwards across two-thirds of the length. Do the same the other side, then fold the bottom behind on itself to leave the required height. 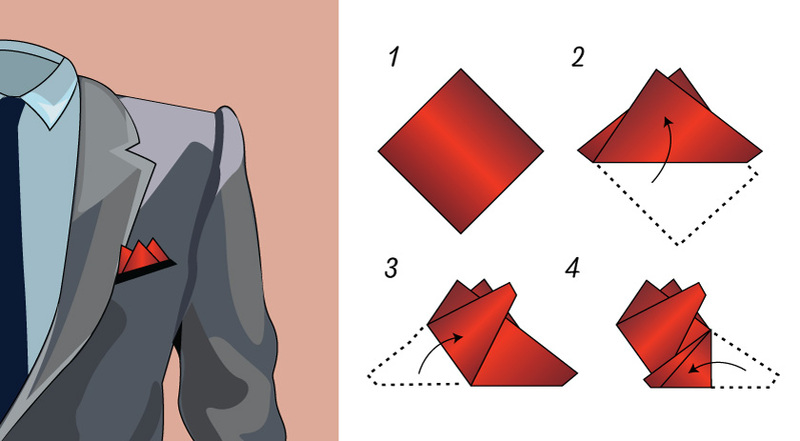 The three point fold is another amazing square fold, to have this amazing look you have to just fold the pocket square in half by the corners, creating a triangle. Now take the bottom left corner and fold it diagonally upwards, making a second point at the top right. Do the same with the other side then fold in the outer corners to slim the shape ready for your pocket. 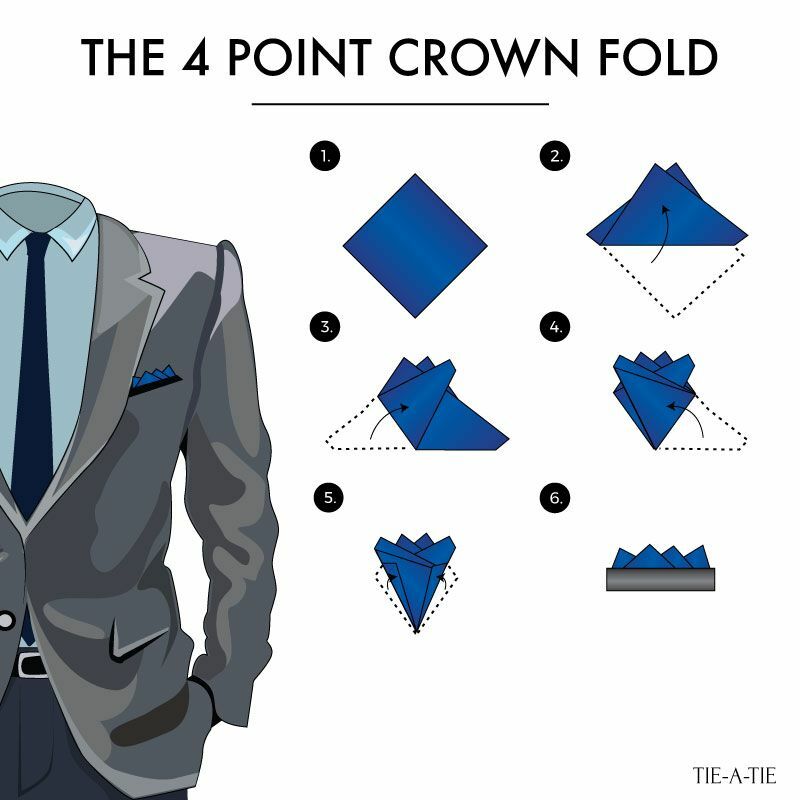 The four point fold is another fold for amazing and dashing look for your pocket .it looks just same as three point fold. 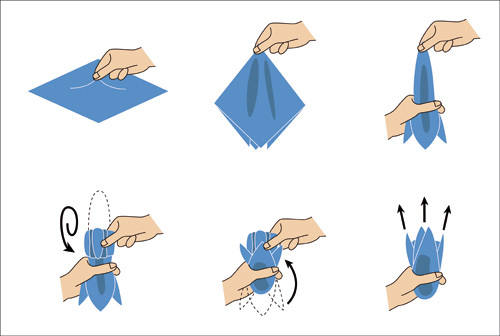 so for this fold you have to Start by folding the cloth in half, but make the two points slightly away. From here, follow the same technique as the three-point by folding the bottom corners up diagonally, adding a third and fourth point. yo have this type of square fold ,one have to Start by folding the cloth in half by the corners to create a triangle. Take the two wider corners and fold them towards to the point, so you’re left with a diamond shape.Now fold the sides behind and the bottom up, so you end up with a small square with a point at the top. Place the puffed part at the top of your pocket. 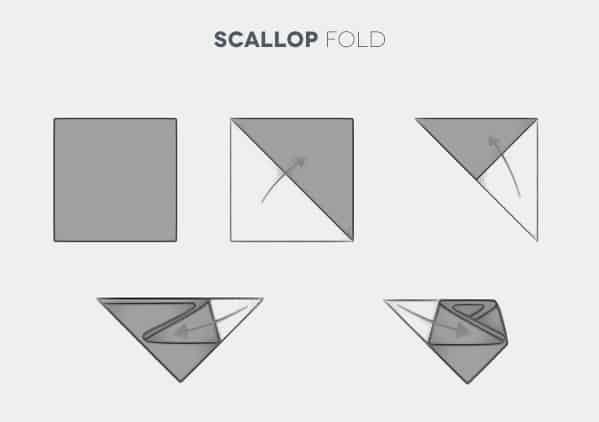 to make the scallop fold ,just Take your material and fold diagonally by the corners, then repeat. Now, hold the smaller triangle so the two widest corners are at the top.Take one corner and wrap it round and down, and repeat on the other side, layering over the first corner. You should be left with a layered, rounded fold. Place the point at the bottom of your pocket, so the rounded fold sits at the top. to perform this type of square fold ,you just have to Pinch the material at the centre of the square and lift it carefully upwards. Bunch it together by making a ring out of your thumb and forefinger.Now, simply pop this into your pocket and make an amazing look . Thus above 7 square folds are top 7 square folds ,you can use to look amazing in parties or business meetings.